Each region of the country has its special food items. Tourist towns often have gift shops where you can find a lot of different food items such as special jellies and sauces, cans of local specialties and lots of other good things to eat. You can often find the same items for a lot less money in the local grocery stores. Visit a small family owned grocery store and walk up and down the aisles to see what fun things you can find. We did this in a little grocery store in a small town in Louisiana and found wonderful cajun spices and sauces. This is a great way to spice up your meals cooked in your RV on the road and also great to take home for gifts or to cook and take a mini-vacation in your mind when you eat those favorite flavors from far away. We purchased a can of smoked salmon in Oregon that was very different from anything we can get in our stores here in Colorado. There were two recipes on the can, one for a smoked salmon dip and the other for a salmon chowder. 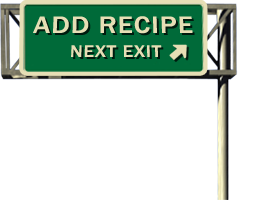 You can find both of those recipes here on the RoadChefCuisine web site. See more in Food Find.